It should come to few people’s surprise that New York Fashion Week was outspokenly political for AW17. 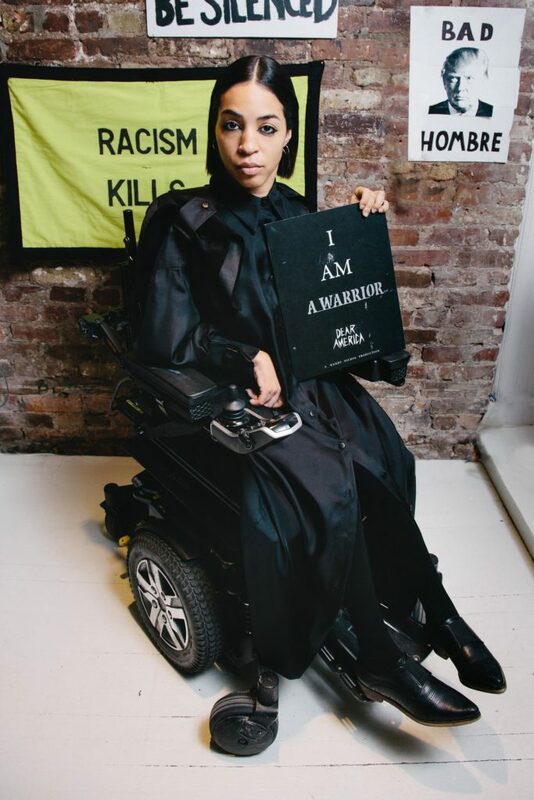 Designers with all kinds of diverse backgrounds have made New York fashion what it is today, so seeing rousing slogans (“Revolution Has No Borders” at Prabal Gurung or “Make America New York” at Public School) left and right paired with highly diverse casting was to be expected at the start of a new era for America and its creative arts. Some question the commercial motives behind such a stance, but that will be an inevitable response to any outward social messaging via consumer fashion. One can only hope this is more than a kneejerk reaction, an indication of lasting change perhaps, because heaven knows the general fashion populace could stand to be 750% more woke. As the industry reboots for womenswear month, let’s see which deep dish pie New York came to serve this time. One week on, it’s still clear the new Calvin Klein is a beacon of light pulsating over Gotham. The city that doesn’t sleep anyway is sat at all hours of the night propped up against a paint-splattered Sterling Ruby wall while muttering ‘Raf and his done did it again’. You can read our review here. If you have Inge Grognard rooting – and beating faces plus tresses – for your brand’s debut, there’s little reason for you to do poorly. Section 8, wholly on the curve, is a team effort. A pretty anonymous team at that. The project is headed by HBA stylist Akeem Smith but he has stated the team consciously eschews the spotlight since too much media attention is what put the wrong person in power in the first place. No lack of power in Section 8’s debut collection, which the brand’s Instagram calls rooted in ‘lowbrow trends and fads, underclass aesthetics and absolute privilege’. They even brought out Pam Anderson. Colour us intrigued. I imagine Dutch-born designer Sander Lak grabbing the cash from Tim Gunn’s clutches, dashing to Mood and pulling roll after roll of the most eye-watering puces and magentas. I smile. Sies Marjan is at its most beguiling when it turns up the colour spectrum to a decillion and honestly if this collection is autumn-winter I obviously need to be wintering in the part of New York that Lak is finding his inspiration in. Catch me out and about in -10°C in a cobalt charmeuse number. Wendy Nichol, the scissors behind the iconic ‘Drunk In Love’ black sheer dress, had a message to her ‘Dear America’ that needed no interpretation, this was as on the nose as a septum. But desperate times call for such measures and the clothes were solid in their own right, it didn’t feel like the designer was distracting. A stylised protest of sorts, with each model giving great outfit while giving a damn. 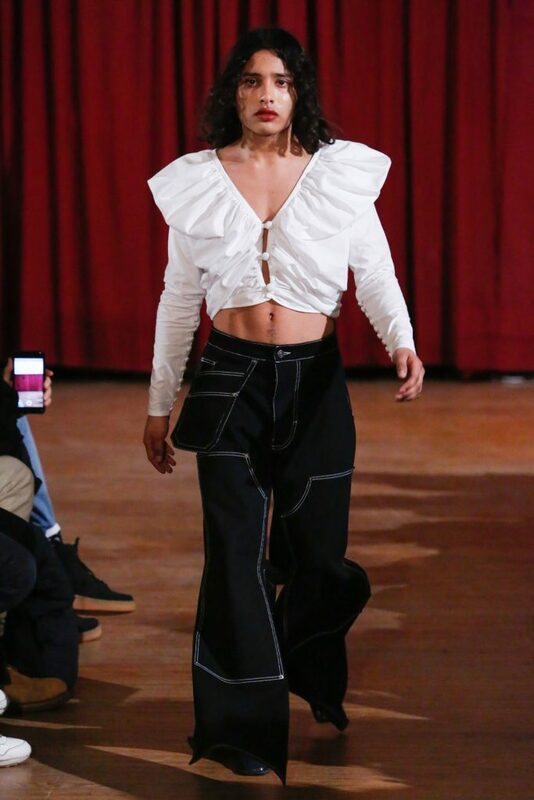 Eckhaus Latta has been the gateway to the ‘new’ New York for a few seasons now, gaining acolytes and front row buzz with each new outing. Though most will have been hankering for more of a statement, bar a few “Is This What You Wanted” knit blurbs, the designer duo seems to have turned inwards for AW17. Comfort food to put on your back. 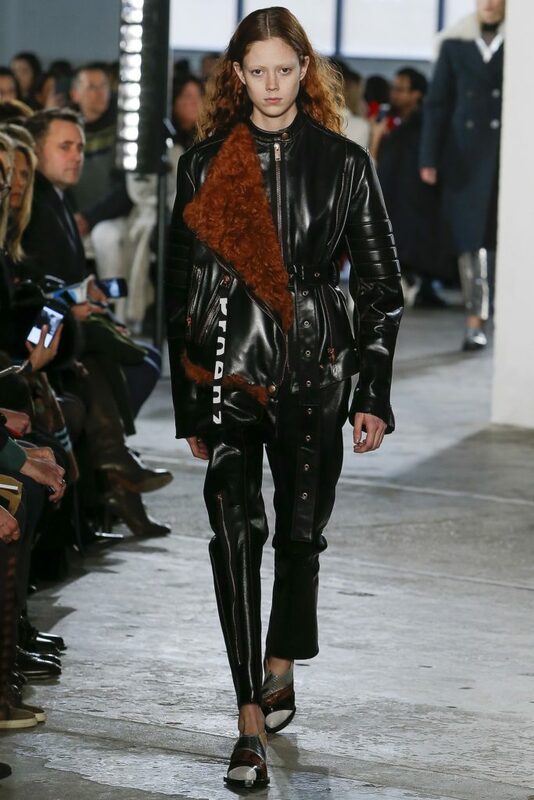 By having photographer Collier Schorr take to the runway for them, Mike Eckhaus and Zoë Latta still put one clear point across: legends only. Well, legends and anyone with enough sense and cash to look good in some Eckhaus. Vaquera was founded in 2013 as a reaction to the lack of diversity in fashion and has deservedly gained steady traction ever since. Looking at their AW17 runway images, I can just hear a stifled ‘yas’ emanating from the front row with every look, each one more wild than the next. Honestly I’ve always wanted to be a Tiffany’s jewellery pouch facsimile so they hit us with it at just the right time. To be consumed and styled with restraint, or none at all, both works. Pencil down that flag dress for my next inaugural function, please. For Linder's first dedicated womenswear show, Kirk Millar and Sam Linder pulled few punches and excluded no genders. A sense of New York humour glowed from the collection, reaching its peak in a Bambi roadkill get-up. It’s also clear now that (lacquered) Prince of Wales is truly the way to go for winter, as underscored by Calvin Klein. Baja East is quite literally thriving. Head designers Scott Studenberg and John Targon have a vision for their brand, one which sees luxury get down with supreme comfort. I’d be very interested to see where this goes, most likely towards Rih's closet at some point. I’m happy that Season 5 was all about the clothes instead of editor drama and even though it would’ve been even preferable to just have Teyana Taylor model every single piece, the standout GORE-TEX coat (modeled by the stunning Duckie Thot, ensconced in shadows) and great denim get-ups are what make Season 5 an interesting update to the Yeezy catalogue. Everything will sell like mad, the Instagram set will look 'bad' in their Calabasas track pants and fresh Runners but in the end it’s best to see Kanye doing well and being surrounded by Real Friends. 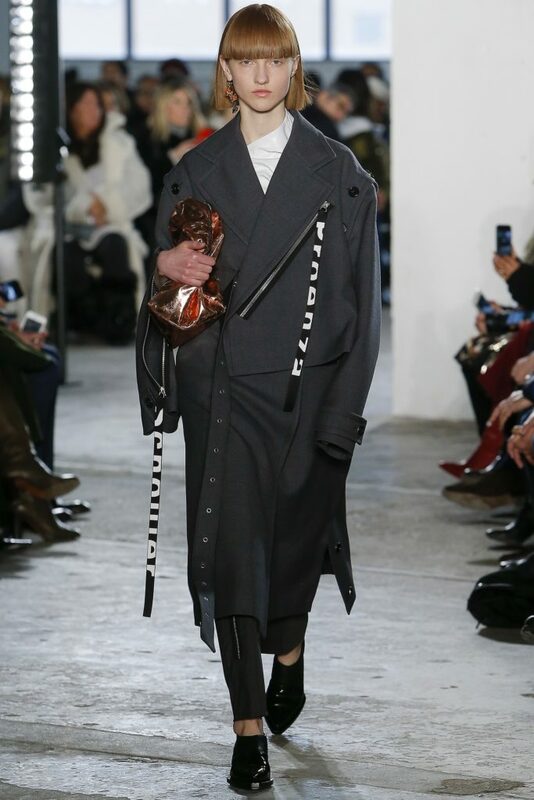 For what appears to be their last home-base show before moving to a new Paris slot, Proenza Schouler presented a fitting adieu in a collection that shone through its outerwear and terrific shearlings. The way the brand logo was literally stripped down was novel for the usually quite logo-averse Proenza Schouler (their hit PS1 bag bearing none whatsoever). Even Raf Simons came out to hug Jack and Lazaro backstage which is more than I can take, really. Rosie Assoulin Us goils who love a silk moiré moment and have a couple of grands to spare for Made in America garb might want to consider getting into Rosie Assoulin’s work. A look uniting romanticism with drama will never go amiss in my book. For more, head to NYFW's official recap here. Read KNOTORYUS Best of London Menswear here. Read KNOTORYUS Best of Milan Menswear here. 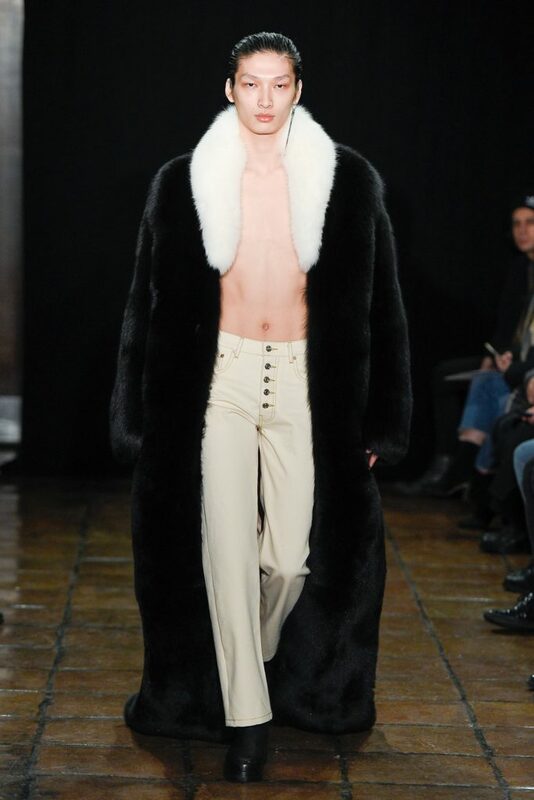 Read KNOTORYUS Best of Paris Menswear here.